Summer comes with its warmth and you would like to cool off in a swimming pool? 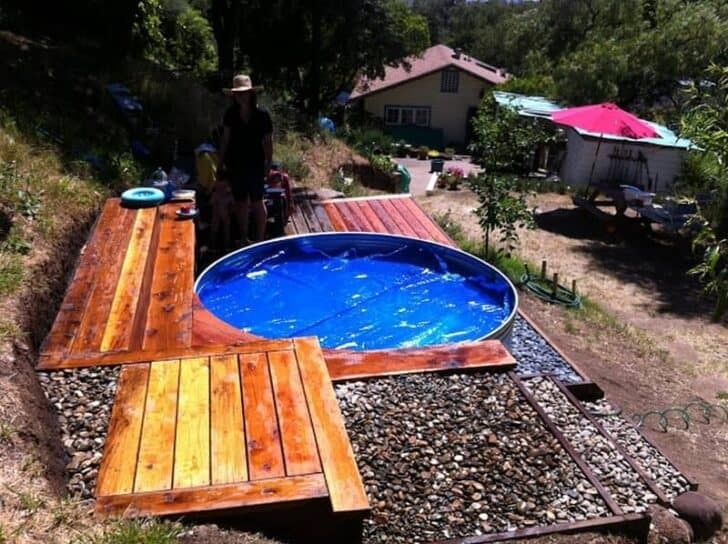 Even if your budget is limited, this dream can turn into reality by making your own DIY pool. Some materials, recycled or not, some ingenuity and DIY talents and the trick is done! 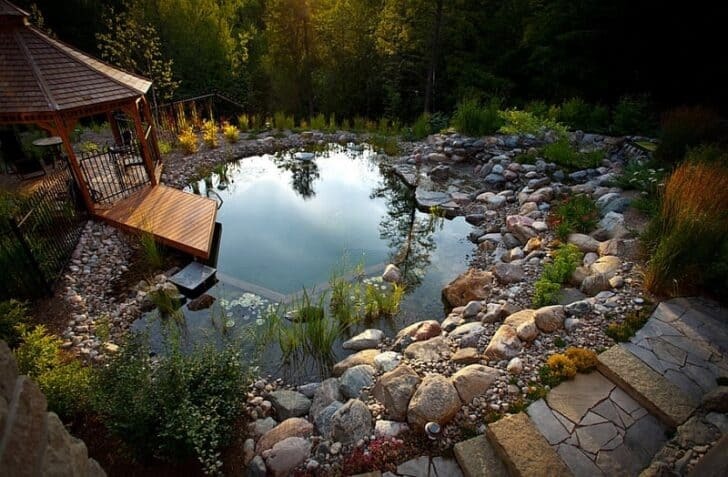 Here are 10 examples of easy to build DIY pools. 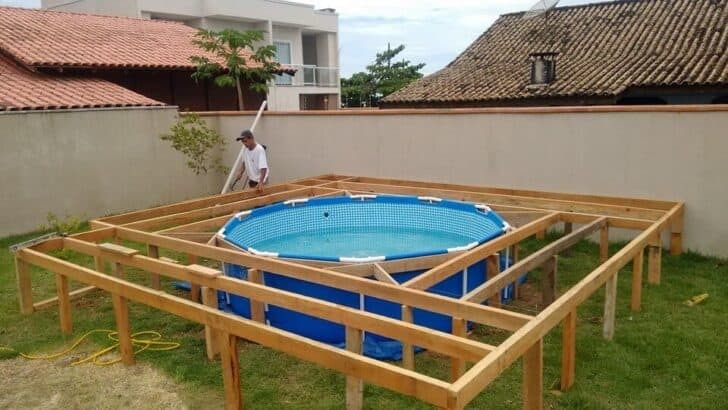 How long does it take to build your own swimming pool? 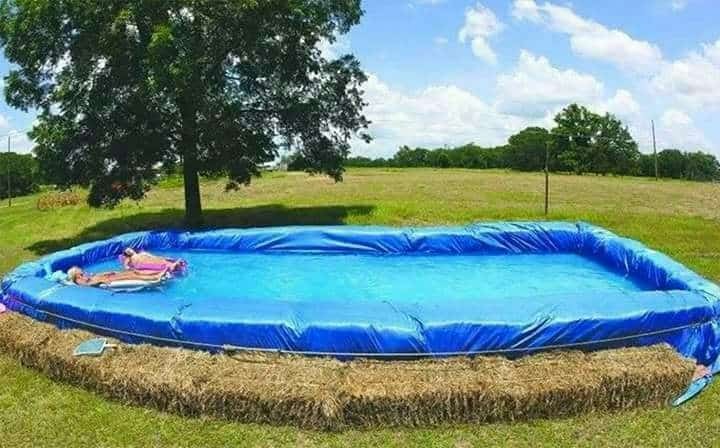 How to make a pool with straw bales? 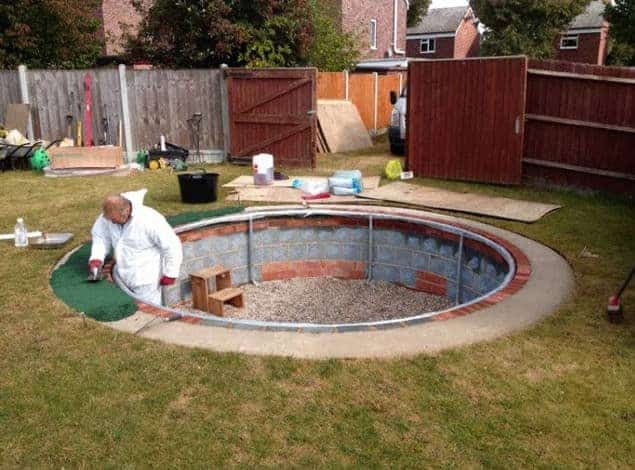 Building your own DIY pool with a kit is quite simple. But when it comes to an underground pool, it's much more complicated. Once you have chosen the location, the structure, and the covering, the serious things begin... Here are the things to always keep in mind if you want to make your own DIY swimming pool. If you prefer to buy a complete DIY pool kit, the 2 main manufacturers are RoyalSwimmingPools and PoolWareHouse. That's it: we found the perfect location for our pool in the garden, and we're ready to start construction. But before getting down to work on the job, it is essential to be in order from an administrative point of view. A building permit is required if we have decided to build a swimming pool inside our house. Or if our outdoor pool has a large shelter. As the administrative response can take more or less time, you don't hesitate to do it long in advance. First, we will have to define the location of our future swimming pool. Once the location has been chosen and traced in the ground, the serious things begin: place to earthworks (hollow in the ground), then it is necessary to flatten and stabilize the bottom of excavation so that it can receive the structure of the swimming pool. And yes, if you're dreaming of a concrete in-ground swimming pool, you need to know the basics: concrete casting, shotcrete technology, or modular reinforced concrete structure? The wooden swimming pool and the inshell swimming pool require less masonry work, but do not leave any room for it either! Whether you opt for a liner, tile, plaster or other types of coating, you will also need to have the know-how to accurately and meticulously apply our flooring to ensure complete waterproofing. Generally speaking, a construction project carried out by pool builders takes on average 4 to 5 weeks. But of course, if you make your own swimming pool, the work will last longer: 2 to 3 months on average. The best if we want our swimming pool to be operational at the end of the summer? Begin work in winter (if weather conditions permit). In the event of a downtime, technical problem or a problem on the construction site, we have plenty of room for maneuver so that the pool is ready for the summer! And that way, we will have the spring to realize the layouts around the pool. The heat wave's dragging on? 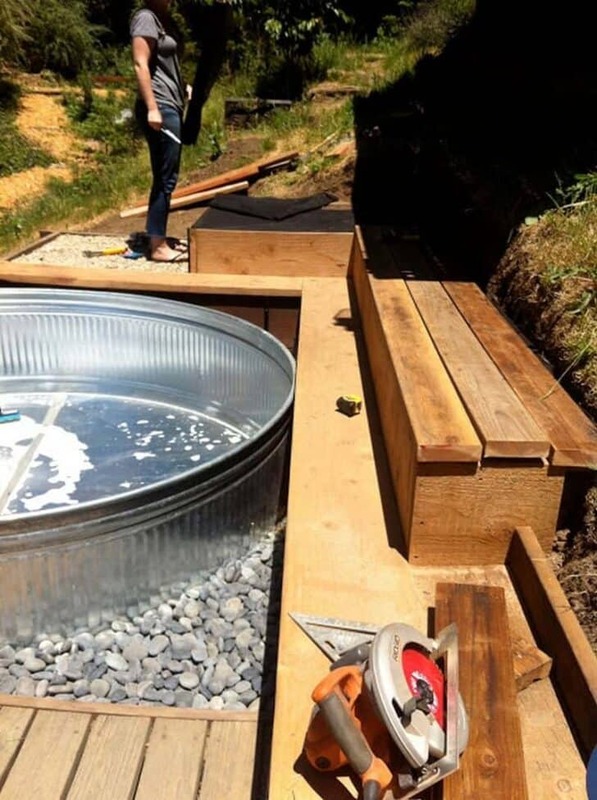 To take the expenses without ruining itself, a DIY pool in recycled pallets to paddle for less than $100. 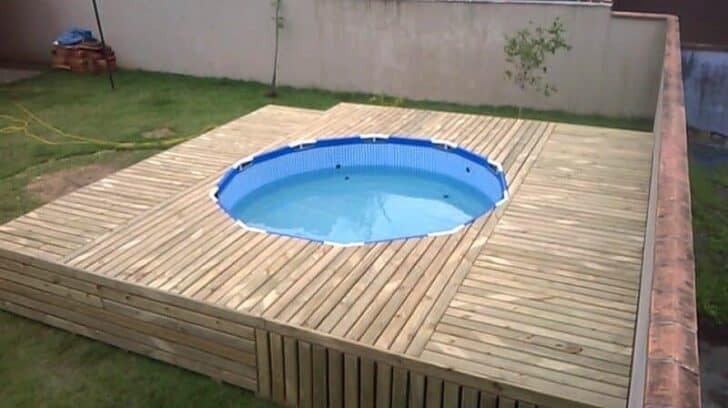 With a few pallets, a bit of imagination and a little do-it-yourself you can build a swimming pool with pallets. Place the pallets in a circle on a large tarpaulin. Secure the pallets with straps. Place the second tarpaulin inside and line the corners with towels to cushion the corners. Line the contour with bamboo boards to make a flange, cover with a 3rd inner tarp and secure with adhesive. Decorate with bamboo canes, fill with water! Buy a basic outdoor pool, which is mainly made of waterproof plastic fabric! A circular shape was chosen here. The interior is also elegant in light blue! The objective is a raised wooden terrace with a swimming pool inlay! You really need to work carefully and use some creative engineering! From the middle, the square frames have been built that gradually expand outwards! 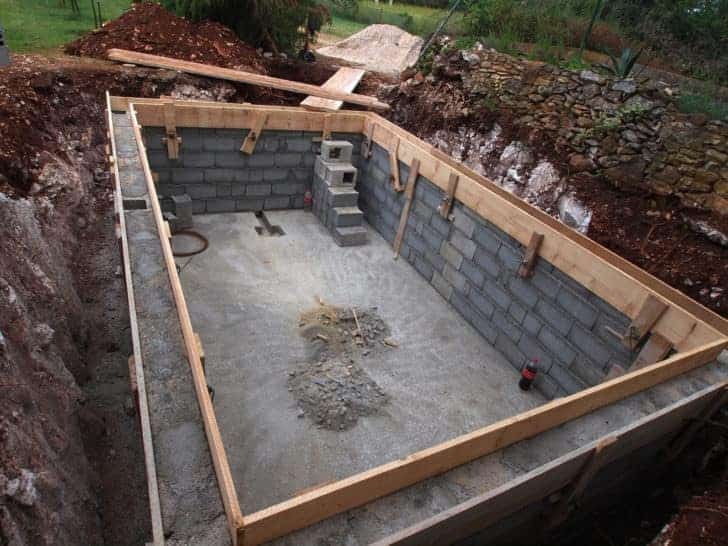 Unlike concrete, which is poured into a formwork or polyester shell, which is delivered in one piece in our garden, a buried steel swimming pool is a kit swimming pool to be buried. With regard to work on the ground, it requires the same as for an in-ground concrete pool: excavated, uncompressed, stable, waterproofed ground. 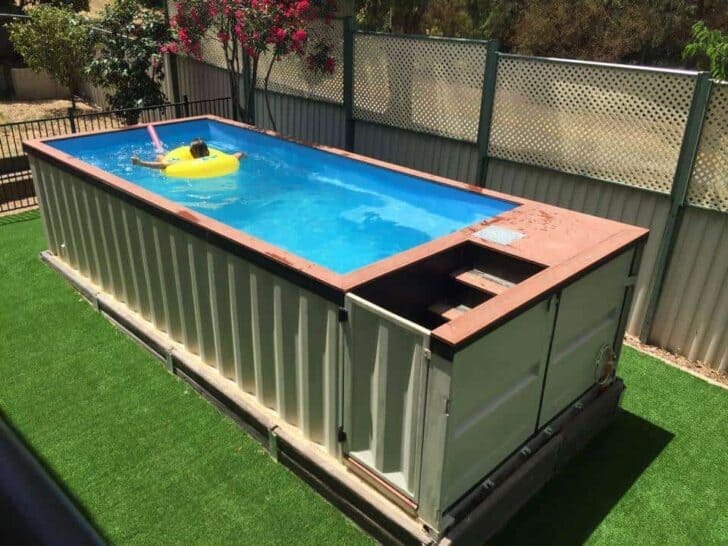 The steel in-ground pool kit includes - in addition to the traditional filtration system, cladding, rooms, plumbing - rigid steel modular panels. Once assembled together, these panels will form the wall and structure of the buried steel pool. 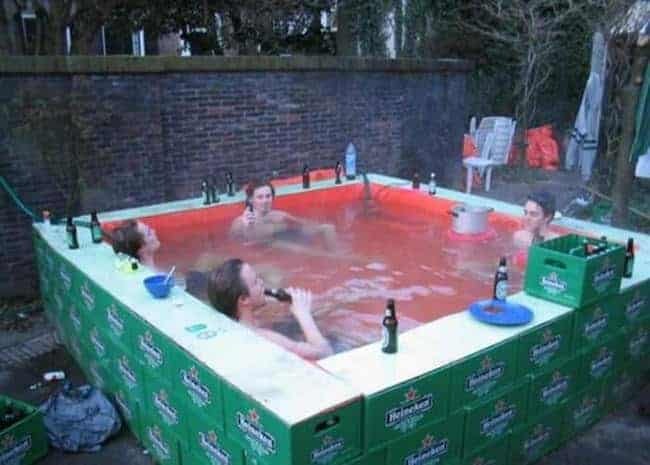 Hence its other name of a modular swimming pool! The underground steel swimming pool has many advantages, closely linked to the nature of its steel structure and the modular panels that make it up. An affordable buried pool. Regarding the prices, the steel underground pool is much more affordable than the traditional concrete masonry pool: you can find models of steel underground pool from 4000€. Good news: the inground pool is no longer a luxury! Easy assembly. 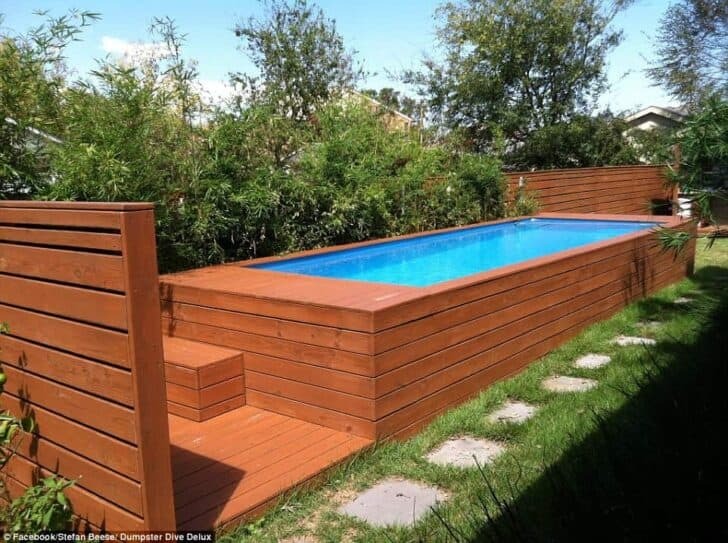 The modular steel panels can be assembled in a few hours, and the pool can be quickly ready for swimming! Nothing to do with the concrete swimming pool, whose construction is very sensitive to weather and climate. A solid material. Choosing steel for your in-ground pool means choosing an extremely strong and durable material (especially if the steel is stainless or galvanized). Easy maintenance. Unlike wood, steel is very easy to maintain material. A very comfortable swim. Once the pool is installed (the panels are available in many sizes), the swimming comfort is similar to that of a concrete inground pool. For a smaller budget, let yourself be tempted by an above-ground steel pool. It will have the same robustness as an underground steel pool, but with less refurbishment work. 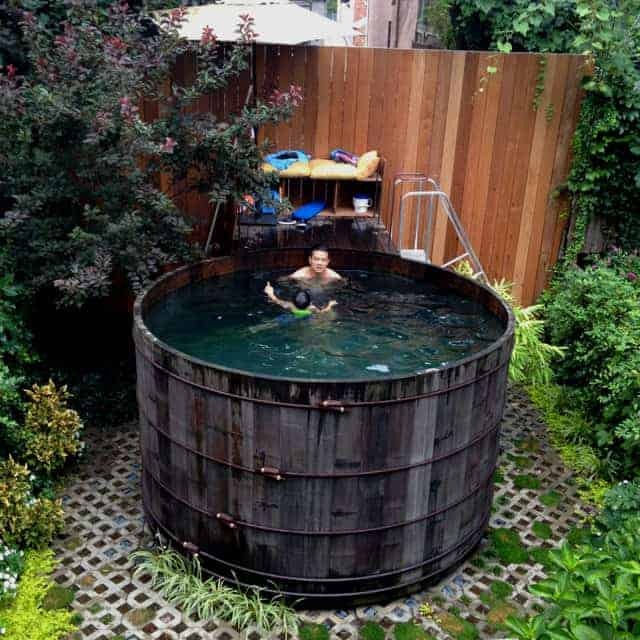 Discover how to make a pool without spending a fortune: Dumpster Swimming Pool! There are several ways to build your own swimming pool at home. 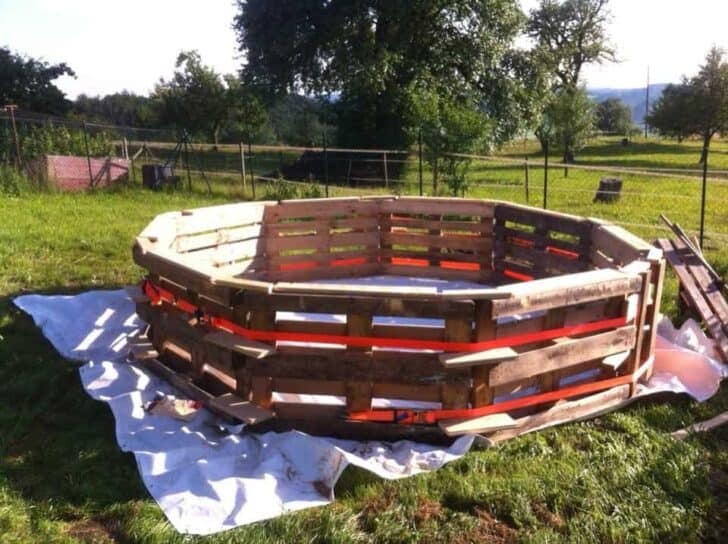 Why spend a fortune buying an in-ground or above-ground pool when it is possible to make one with hay bales! Ideal to cool off during the next heat wave or for your next party! 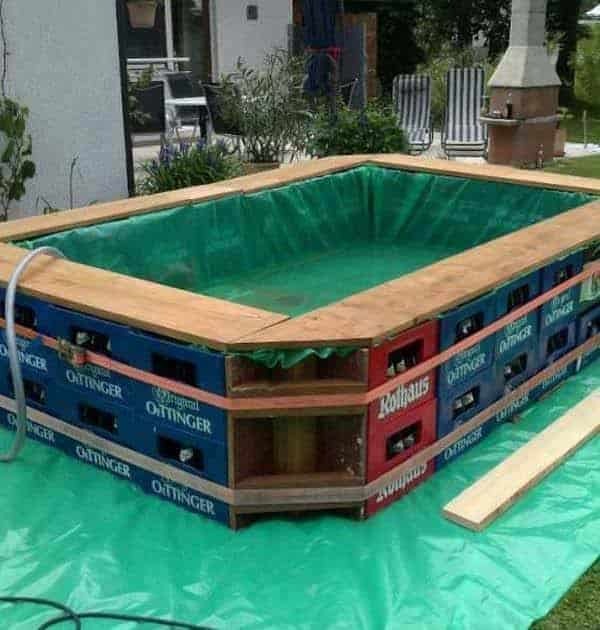 If you don't have a real pool, you can make one! Depending on the size of the pool it will take about 50 bales of hay. You also need to add even more if you want a depth of 4 feet for example. Once you have finished installing the straw bales to make the sides of the pool you can lay them out generously on the floor so that it is more comfortable when you go swimming. The hardest and most expensive one is likely to find and or buy a pool cover to cover all the hay bales. You may also be able to buy a waterproof fabric at a good price to make your own swimming pool. 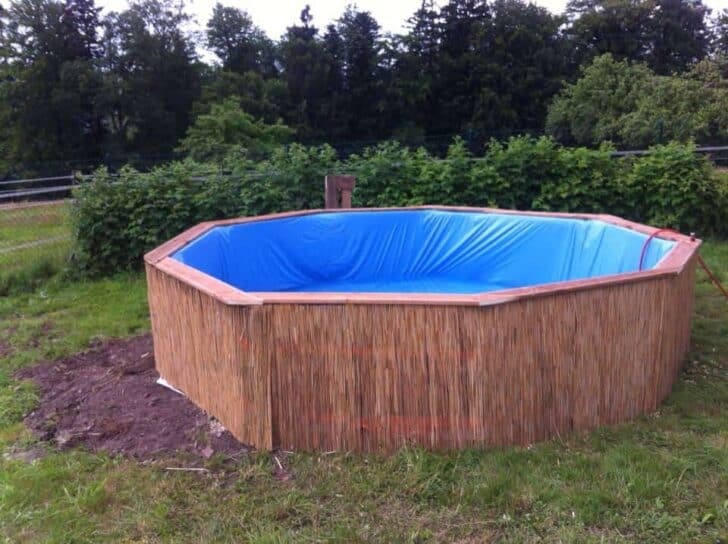 In the end, a beautiful large above ground swimming pool makes 100% house with straw bales and a pool cover. Admit that it is still successful for a weekend pool!